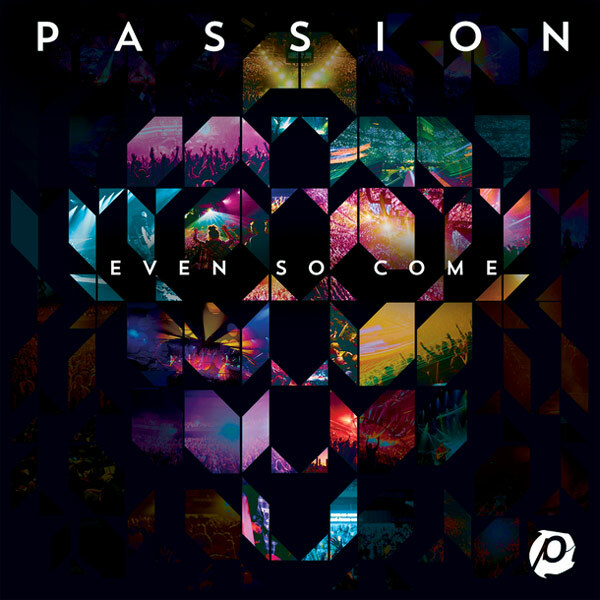 Featuring some of this generation’s most acclaimed worship leaders – Chris Tomlin, Crowder, Matt Redman, Christy Nockels, Kristian Stanfill and Brett Younker – the new live Passion album Passion: Even So Come is set to release on March 17. The album was recorded in front of over 30,000 college students at three separate Passion gatherings in Atlanta and Houston. The new album follows in the footsteps of many successful live Passion recordings this decade, including Passion: Awakening, Passion: Here For You, Passion: White Flag, Passion: Let the Future Begin and most recently Passion: Take It All, all of which have debuted at No. 1 on Billboard’s Christian Albums Chart. Passion 2015 was a three-day gathering on two separate weekends in Atlanta and a final three-day gathering in Houston. The conference was attended by a generation of 18-25 year olds from around the world and led by renowned pastors and teachers Louie Giglio, John Piper, Francis Chan, Christine Caine, Judah Smith, Ben Stuart, Matt Chandler and more. Across the three gatherings, students were challenged to meet a goal of $850,000 that would support 10 people groups in 12 nations across the world in hopes that 19 million people will hear the message of Jesus for the first time. Following the final gathering in Houston, the total donations amounted to nearly $1.2 million. Passion also continues to shine a light on modern-day slavery through the End It Movement. Leaders announced the new 27X7 initiative inviting advocates to create teams of 27 “freedom fighters,” representing the 27 million slaves around the world. Each “freedom fighter” will donate $7. All funds will be distributed among 16 coalition partners to support prevention, rescue and restoration efforts in the fight against modern-day slavery. Learn more and join the movement at enditmovement.com. The Passion team announced that next year, Passion 2016 will consist of simultaneous conferences in Atlanta and Houston on January 2-4, 2016. They also announced plans to return to the Georgia Dome again in 2017. For more information about Passion Conferences, visit passionconferences.com or follow on Twitter at @passion268. 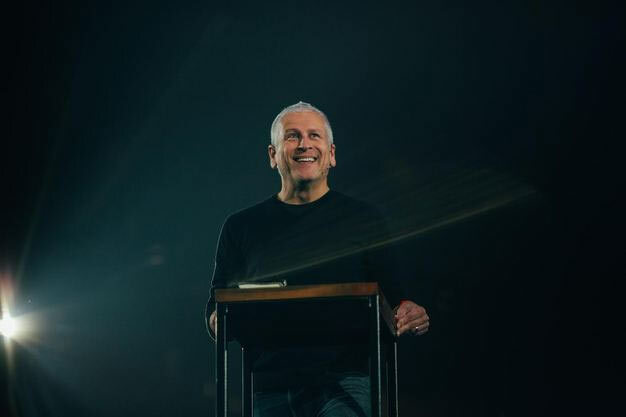 Led by a stirring in the heart of Atlanta-based pastor, Louie Giglio, Passion was birthed in 1997 to see the 20+ million college students across the globe awaken to the reality of an omnipotent and glorious Creator. Since then, millions of students from across the globe have joined the Passion movement, united across ministry and denominational lines, to seek the face of God in worship and prayer at nine conferences, four world tours and multiple one-day and regional events. Passion’s core scripture, Isaiah 26:8 states: “Yes, LORD, walking in the way of your laws, we wait for you; your name and renown are the desire of our hearts.” The small Passion Team is led by Louie Giglio and operates under the direction of a Board that is committed to spreading the fame of Jesus Christ to college students around the globe. Founded in 2000 by Louie Giglio, sixstepsrecords is a worship label and a division of Passion Conferences. sixstepsrecords’ artists include Chris Tomlin (Love Ran Red), Crowder (Neon Steeple), Matt Redman (Your Grace Finds Me), Christy Nockels (Into the Glorious), Kristian Stanfill (Mountains Move), and Passion (Passion: Even So Come). The label partners with Sparrow Records/Capitol Christian Music Group for A&R, marketing, sales and distribution operations. For more information on sixstepsrecords, visit: http://www.sixstepsrecords.com. The popular author and speaker returns with Erasing Hell. Teacher and author Francis Chan made waves recently for leaving his megachurch and heading to Asia to follow God’s call. He’s now returned, and has entered one of the most controversial debates in modern Christianity—what are Christians supposed to think about hell? His new book, Erasing Hell (due out in July), takes on the current conversation with Chan’s characteristic grace and candor. Chan recently sat down with RELEVANT to discuss the new book, how Christians can unify and if he thinks there’s a chance he could be wrong. Is there any coincidence that you have a book coming out right after Rob Bell’s book on hell, or is this a specific and intentional response to what he’s written and put together? Chan: Yeah, you know, it definitely was spurred on after reading his book. [It raised] some new thoughts for me, and praying through those. You know, [I] just [had] a range of emotions as I read the book. But one thing, for sure, it made me study again and go, “Gosh, I’m not so sure about some things anymore.” As I studied and as I got into it, I just felt like: “You know what? I need to write something to this issue.” So that definitely got the ball rolling for me as far as thinking, and so I’m very grateful for that, because hell isn’t something I normally think about—I almost try not to think about it. But then as I was thinking through these thoughts [and] I realized, “This is a topic we avoid, and there really isn’t a lot written on the topic, at least to the mainstream.” So I just felt like God wanted me to write something about it. Do you find the topic of Hell has been a difficult thing for you to dig into in conversations with friends, or even as a pastor? Is it something you feel like you haven’t emphasized enough, or emphasized in the wrong way in the past? Man, this whole study has been so sobering to me. It’s hard to talk about right now, honestly. There’s so many emotions that run through me whenever I even say the word “hell.” So, I think it’s healthy, and it’s good for my soul to discuss and to study, but it’s very difficult—it’s always difficult. Why do you think it’s so difficult? Why is it so emotional? [Long pause] I think about … friends … I think about … this is eternity—friends, relatives. Just people I care about, that I love. It’s that area that I really struggle with. You know, I had some friends die, and immediately after I want to just take the Bible and trash it, in some ways, because in the flesh it’s very hard to accept. Just to have a discussion about, or just kind of talk about it in everyday conversation, it’s hard to separate my emotions. This topic over the last several months seems as though it’s exposed a lack of unity in the Church. What do you feel like it’s exposed within dialogue and conversations that you’ve been around related to people’s thoughts on Hell? Gosh, I think it exposes a lot. I think you’re right: It shows a lot how unhealthy we are as believers and as a body, especially here in the U.S. We don’t know how to disagree well. I think we revert to name-calling or labeling, belittling, versus really getting into the Word and loving each other, and saying, “Hey, let’s study this together a little bit more” or, “Let’s talk through the issues a little bit more.” So I think it’s exposed some of that. Everyone just kind of runs to their camp and I don’t know how open they are to just really listening or to just studying the Word deeply for themselves. Did your opinions or your belief systems about hell change during the study and process and research related to the book at all? Or did it solidify what you felt like you already believed? Yeah … some things changed. Some things I feel more strong about, and other things I realized, “OK, I always thought that was a lot clearer than that,” and it wasn’t. So yeah, some of my views have changed. What conclusions have you come to after the research and the study you did for the book specifically on the topic of Hell? That it’s very real. It is a place we need to avoid at all costs. It is a terrifying thought to fall into the hand of the Living God as Scripture tells us. But I was also surprised that these passages are really written to people who call themselves “believers.” Usually we only talk about Hell in this evangelistic, “I’m going to preach the Gospel” and “Hell, fire and brimstone” to these unbelievers, but these passages really were written to those who called themselves the Church. It’s a very sobering thought, and a very interesting warning. Do you feel a holy responsibility to be a voice of truth about Hell, right now, based on the cultural conversation that’s happening in the Church? I do. I do. And maybe that’s some of this. This is not something I wanted to do. It really felt like a weighty responsibility where I really couldn’t sleep at night. It literally would wake me up. I’d wake up in the morning thinking about it, go to bed thinking about it, think about it all day. Again, really sensed like the Lord wanting me to approach the subject. And part of me wonders: “OK, Lord, why did you want me to do this? Is it really that you wanted me to be the voice for this?” And some of me wonders if it was for me. Like the Lord saying: “OK, you don’t think about this enough. You need to repent of some of these things.” And that certainly has happened, and continues to happen. I mean, it’s a really humbling process. And so, yeah, I do feel a calling, I guess you can call it, a burden, a sense of responsibility. That’s what led me down the road. If the texts are so clear, why are we all still disagreeing about it? I don’t want to guess at anyone’s motives. I know my own, and I know there are certain things I really, really want and wish to be true, and I know that gets in the way. I mean, I—I’m not … you know, I don’t want to look for, like, an obscure detail, or try to find some nuance in the language. I’m a pretty simple guy. I just read the Bible and go, “OK, if I read this 50 times on an island, what would I come up with?” Pray, fast—I’ll study. I’ll look into the language, but I think I really don’t try to bring up some strange thing that a 15-year-old couldn’t come up with. It’s just [like], “Gosh, this seems like the obvious teaching of Scripture.” So that’s where I hang my hat. Do you think there’s any chance after all this research that you still could be wrong with the position that you’re taking? Wow. couldn’t have said it better! Francis Chan, perennial speaker and author of “Crazy Love” and shared at The Desiring God Pastors Conference on Tuesday, February 1, 2011, that he had relocated with his family to San Francisco. Which sounded like a permanent move. Chan had shared previously that he was unsure where exactly God would call him and his family to move after leaving Cornerstone Simi Valley, the Church Chan founded 16 years ago. The Chan’s sold their house last fall (2010) in Simi Valley before visiting Asia for an extended stay visiting various ministries and orphanages. So glad to hear about the move. We’re all rooting for you Francis!